Copyright: Artists grant Fusion Art a non-exclusive perpetual license to reproduce the images of their artwork on our website, in the marketing of any art competitions including, but not limited to, on the gallery’s social media network outlets, and to advertise the annual group exhibition that will take place in Palm Springs, CA each November. Fusion Art is granted usage of the chosen artwork, for display, marketing and promotional purposes for that art exhibition and for any future Fusion Art themed art competitions and exhibitions - either online or in the Palm Springs gallery. 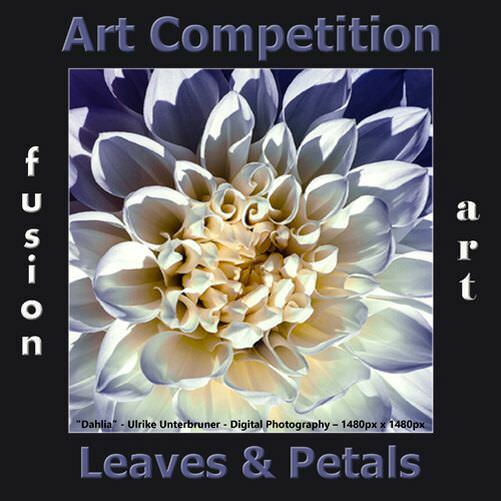 For this competition, both 2D and 3D artists, worldwide, are invited to submit their best art and photography depicting the flowers, leaves, herbs, plants, shrubs, bushes, hedges and other botanical or floral subjects. All artists, regardless of location or experience, are encouraged to submit their best work in any medium. All competitions include awards in three categories – “Traditional” Art, “Digital & Photography” and Sculpture/3-Dimensional Art (if the gallery receives 3D entries). Best in Show and 2nd through 5th Place awards will be given. The Best in Show winners will be invited to Fusion Art’s 3rd Annual Group Show in Palm Springs in February 2019. Image requirements: jpeg format, 96 dpi; under 1 Mb in file size; no frame, mat, or watermark. Judging criteria: creativity, originality, interpretation, quality, overall design, demonstration of artistic ability, and usage of your chosen medium. Online submission of digital photographs via the website. No more than a total of 5 images will be accepted in any one submission.